Sheet music (as an A4 booklet) for the Waymarks album of 14 songs that mark the Northumbria Community’s journey – alone yet together. This is the blessing from Morning Prayer in Celtic Daily Prayer. 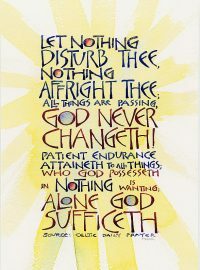 This calligraphic design by Pam French is also available as an A4 poster. 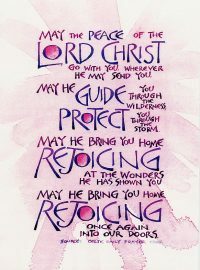 This prayer is 'Columba's Blessing' from Evening Prayer in Celtic Daily Prayer. St Columba was an Irish monk who established the mission base on the island of Iona from which Scotland was evangelised. This calligraphic design by Pam French is also available as an A5 poster. 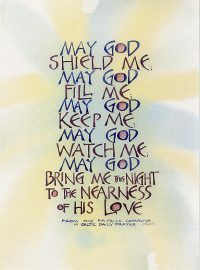 This prayer is part of the Patrick Compline (for Saturday each week) in Celtic Daily Prayer. This calligraphic design by Pam French is also available as an A5 poster, an A6 Greetings card and an A6 postcard. 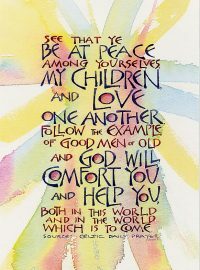 This prayer, known as 'Teresa's Bookmark', was found in St Teresa of Avila's Bible when she died. 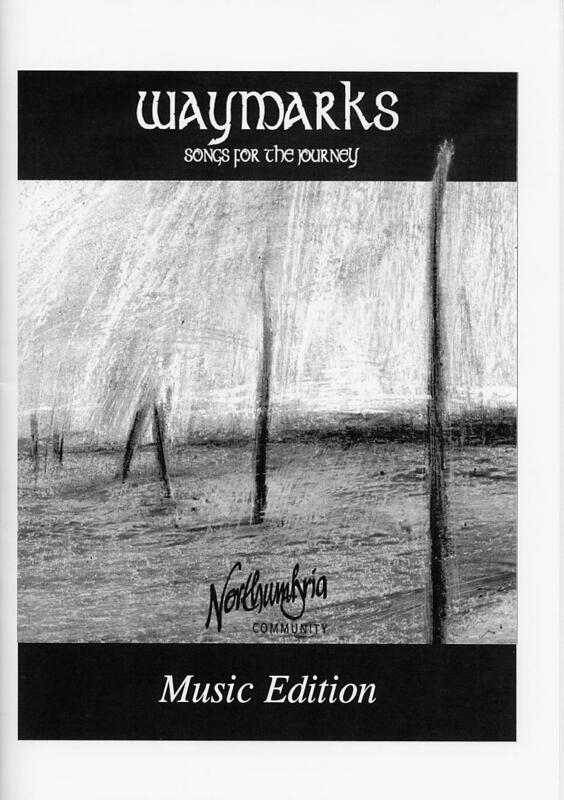 It is used in Midday Prayer in Celtic Daily Prayer. This calligraphic design by Pam French is also available as an A4 poster, an A6 Greetings card and an A6 postcard.